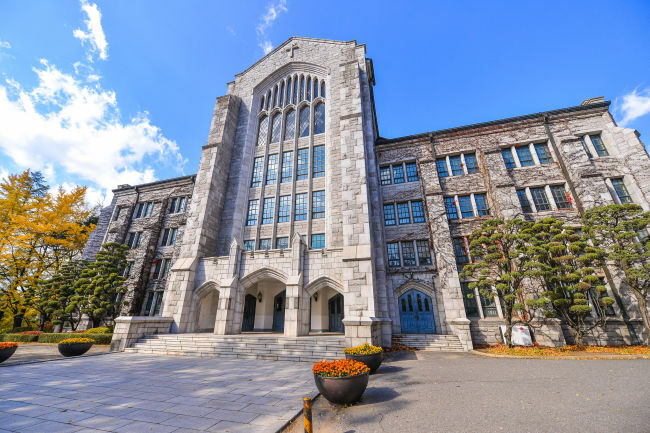 Ewha Womans University announced Monday a test of a new grading system in which professors are entitled to choose how to grade students over the coming year. The new system aims to allow professors to evaluate students more appropriately in regards to the characteristics of the classes, according to the university. Professors may choose between new absolute evaluation and relative evaluation systems, or a blend of the two. In the new relative evaluation method, the number of students who can get a certain grade is not set by the university, so professors may freely adjust the proportion of grades. In terms of the new absolute evaluation method, professors may give out grades based on their own absolute standards. They may also combine the two methods by adopting an absolute grading system as a basic principle while ensuring a set percentage of students to get a certain grade. The university will take surveys at the end of the next two semesters as part of the review process for the new professor-oriented grading system and try to resolve any problems that are brought up.